Must have income at or below 300% of the Federal poverty level. 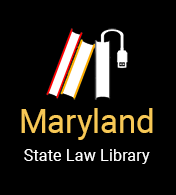 The Ryan White Project provides free legal services crucial to Maryland residents who are HIV positive or who have AIDS and live in Baltimore City or Anne Arundel, Baltimore, Carroll, Harford, Howard, or Queen Anne’s Counties. Individuals who have household incomes at or below 300% of the federal poverty level may qualify. Services are designed to provide peace of mind and enable individuals to focus on their primary struggle, free of discrimination – fighting the effects of HIV/AIDS and staying well. Assistance provided by Maryland Legal Aid is an essential component of a holistic and comprehensive continuum of care for each client.